Sheet Music Dessert Plates – Looking for the perfect decorations for your music theme party? These Sheet Music Dessert Plates will add the right touch to any event! A fun design features wavy music notes! Perfect for any party occasion including: birthdays, weddings, Bar Mitzvahs, school functions, receptions, etc. Set of 12. Approx. 7″. 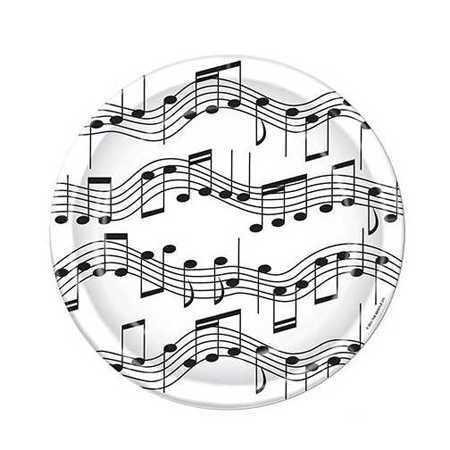 Also, check out the 10″ Music Notes Plates!